check praxis.c8.com/catalog and pick up your order at the party where you can also browse through and listen to a selection of our stock! We go into the 3rd round! Plus: Stall by Praxis Records! It is possible to pick up your orders from the Praxis Records online shop. Just let Christoph know. 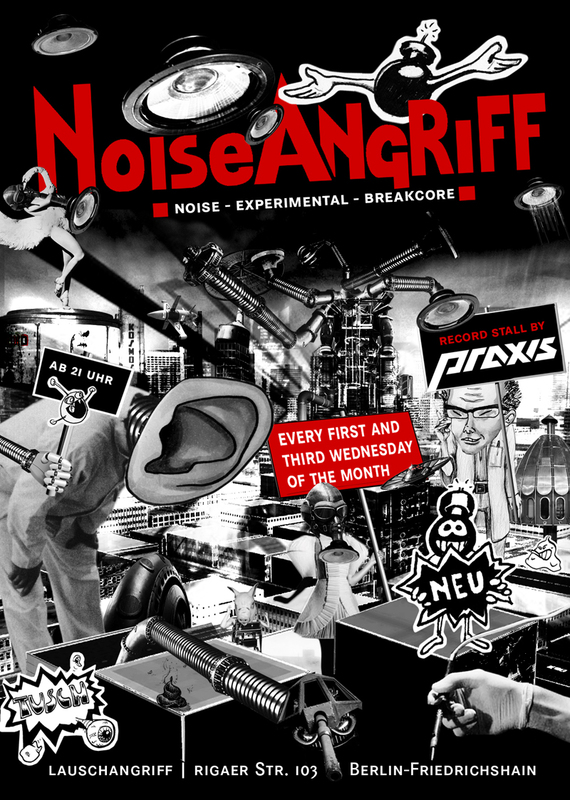 NoiseAngriff is a new night taking place every first and third wednesday of the month. The first wednesday is hosted by fgnugn and Crash 0.1 with a focus on experimental noise and soundscapes, the third wednesday of the month is hosted by T3kamin and Praxis and brings you cutting edge experimental beats and breakcore. Plus: Stall by Praxis Records! The first wednesday is hosted by fgnugn and Crash 0.1 with a focus on experimental noise and soundscapes, the third wednesday of the month is hosted by Tekamin and Praxis and brings you cutting edge experimental beats and breakcore. 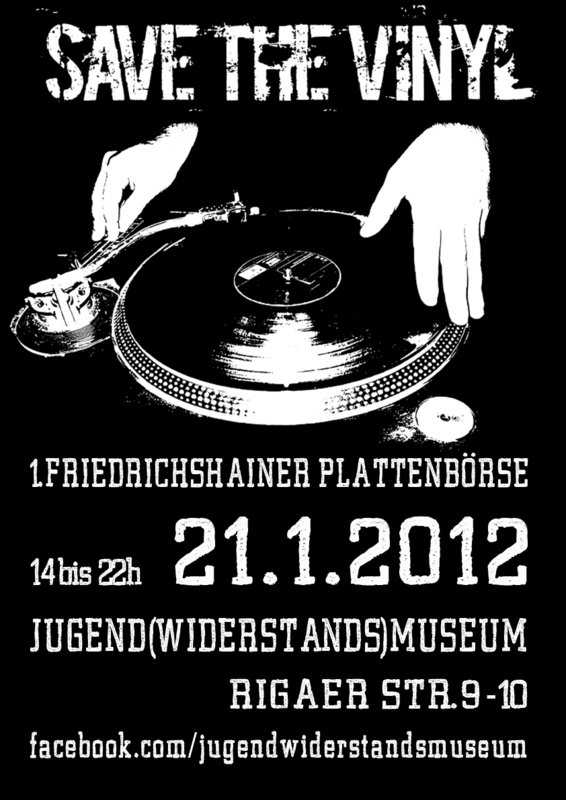 We will be present with a stall at the record fair happening at Jugend(widerstands)museum, Rigaer Str. 9-10, 10247 Berlin, happening this saturday from 2-10pm! Check it out and support your local vinyl dealers! 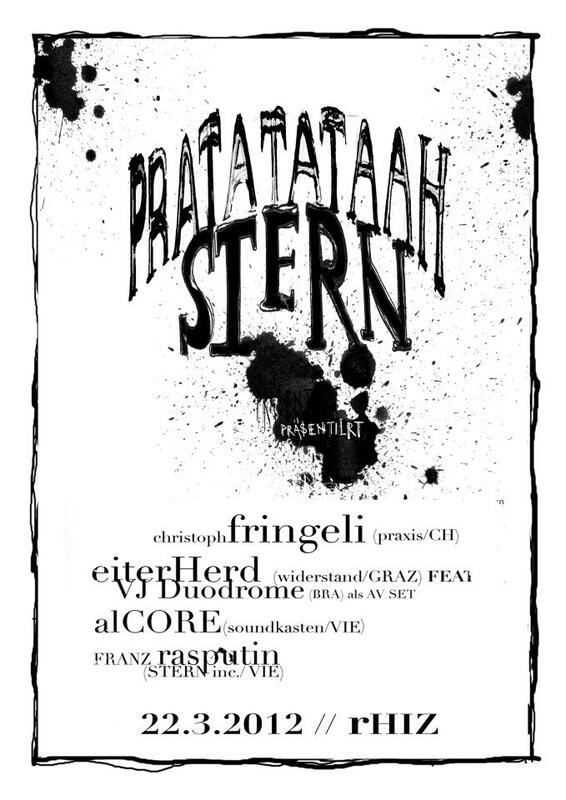 January 18 will mark the start of two regular nights for experimental electronic music and breakcore. Every first wednesday of the month will focus on noise, soundscapes and sonic experiments hosted by fgnugn and Crash.01, while every third wednesday will focus on breakcore and noisy experimental dance music hosted by Tekamin and Praxis Records. Praxis will be present at both events with a stall with a selection of records from their online store. You will be able to listen to and buy records or pick up your orders if you’re in berlin and want to save postage. Lauschangriff opens at 8pm, music in the basement starts at 9 …. open end!